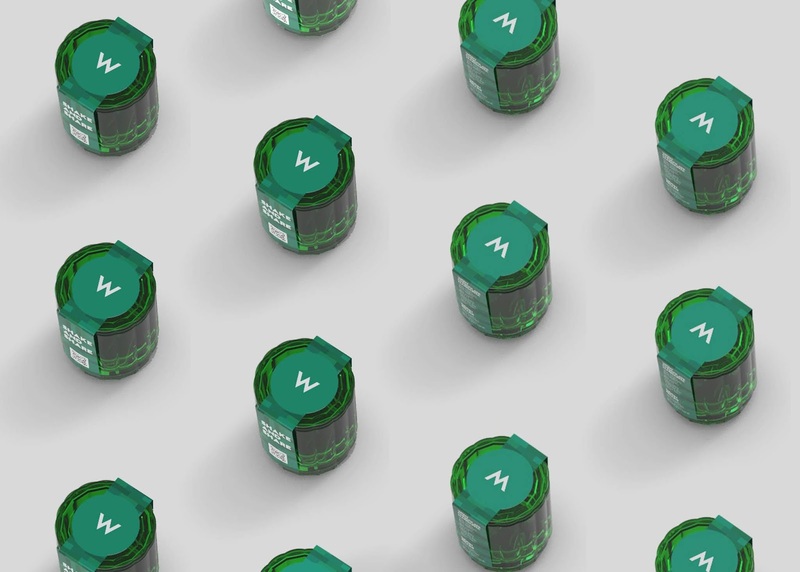 As exciting and creative as the yearly W Taipei Moon Cakes Set can be, 7428 Design Studio is thrilled to coordinate the imagery of 2018 wow moon moon cakes gift set packaging design. 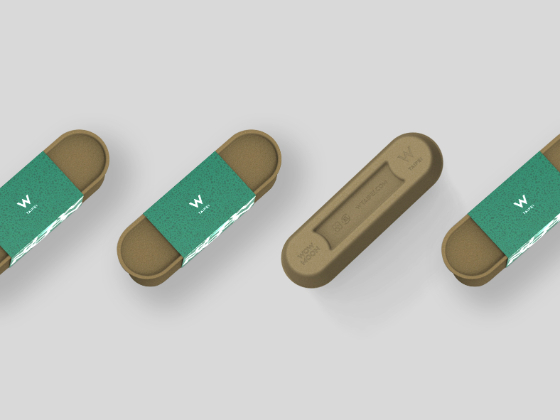 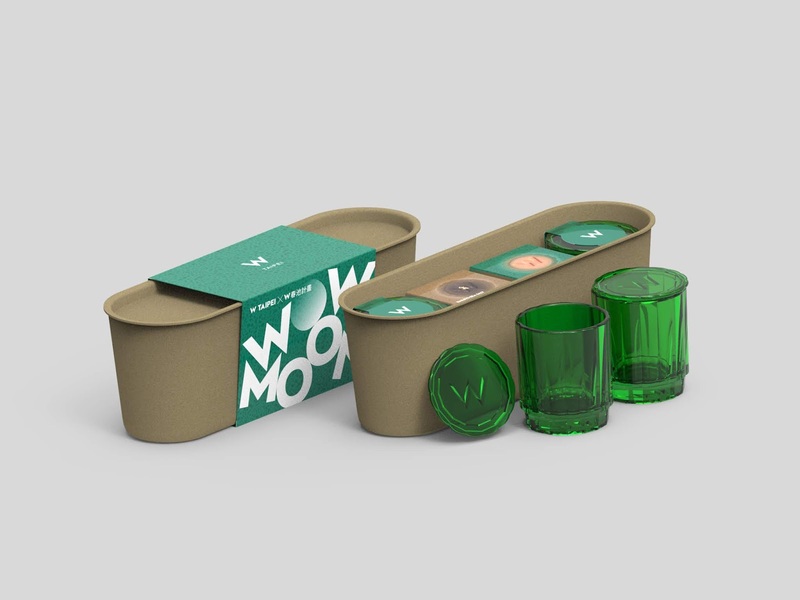 Aligned with WooBar’s concept of “Electrified Nature,” WowMoon recycled glasses are featured in each Set where recycled bottles found new life, packaged in box made from recycled pulp to create minimalist edges. 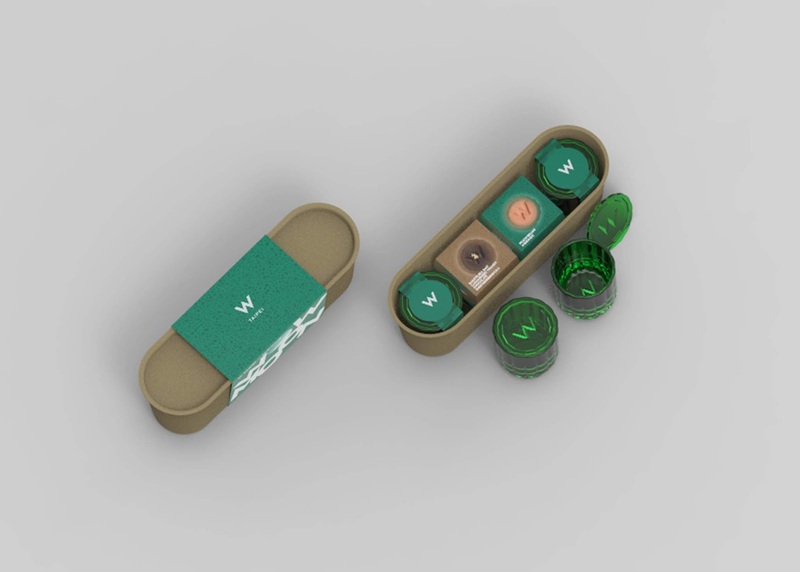 Each of two glasses and lids are attached by a sticker that has cocktail recipe on it, making moon cakes even more enjoyable with WooBar’s special cocktails. 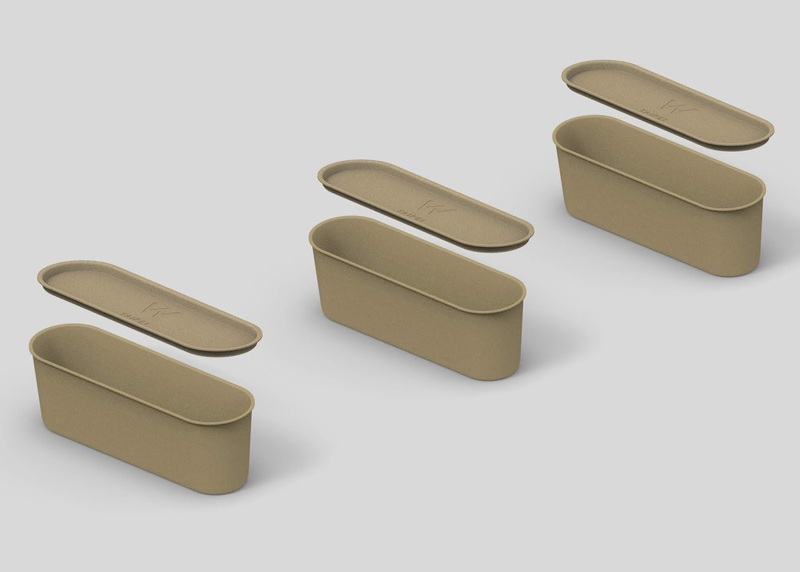 Packaging box’s uncolored pulp is modest while a hint of element from green glass makes it chic and environmentally friendly at the same time, in which you may even grow small succulent plants for the box’s reborn soul out of infinite possibilities of circular economy. 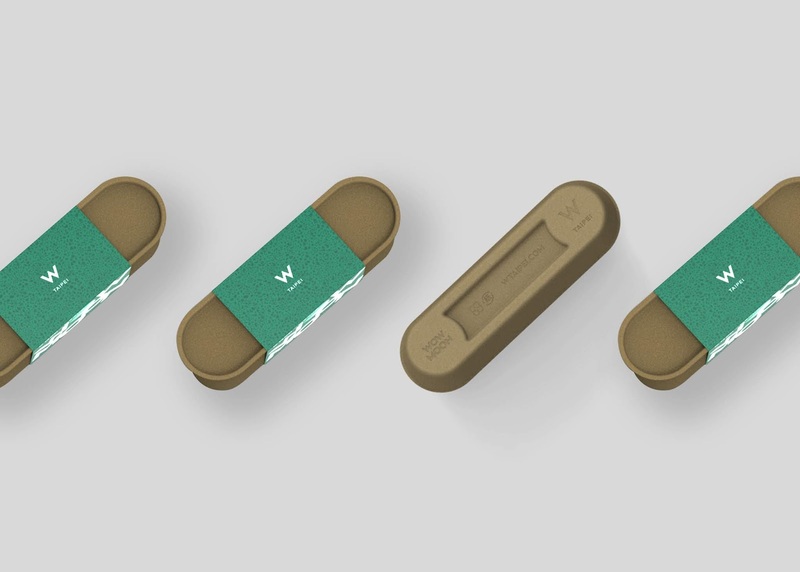 Concept originated in “Electrified Nature” from WooBar of W Hotel Taipei, as well as glasses made from recycled materials. 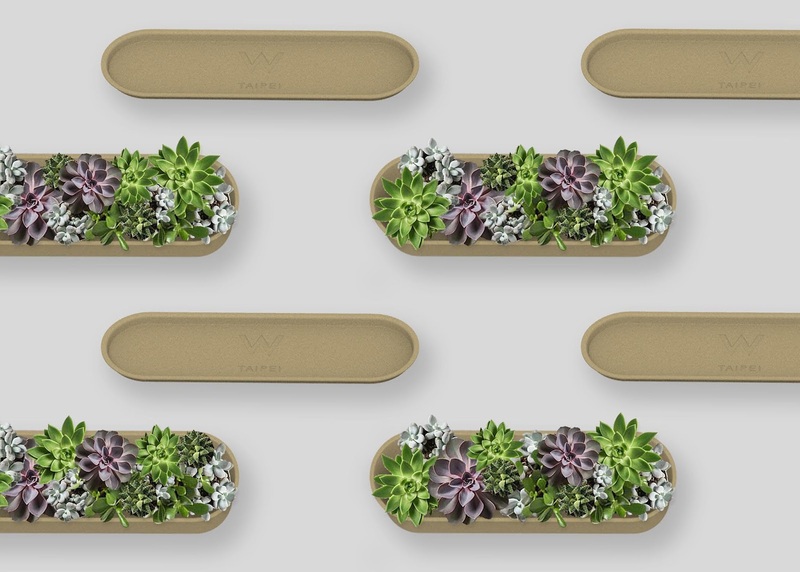 Packaging design makes use of recycled paper for the gift box, where the uncolored pulp is modest while the silky elements in the green glass make it stylish and environmentally friendly at the same time, and you can even grow small succulents as part of gift box’s reborn soul as a response to the infinite possibilities in circular economy.